We have come to the end of our Canada 150 celebration (just in time to head out to fireworks!) and we hope that if you're Canadian you've enjoyed the day with us and if you're not Canadian that we've been able to share just what makes us so proud of this great country! In a world that has seen it's share of darkness lately, Canada has always been a beacon of hope to many. It's beautiful, proud, secure and clean. We are grateful to call Canada home and for the opportunities it has provided SCT magazine. Please know you are welcome in our home anytime! If this day has sparked a memory for you, be sure you're taking a moment to capture it. If you're enjoying today's festivities across the country with family and friends, enjoy it all and record it tomorrow. We're a diverse nation and we're proud of that! What we've heard reading your comments today is that you have also loved our fun facts. So here's just a few more! The quality of our tap water is often better than bottled water. We have a $300 collector's gold coin that has a narwhal on it. Canada is the most educated country in the world. We have an "Apology Act." – are you at all surprised? Really? Studies find Canadians to be the second-happiest people in the world. And they're only getting happier. We are home to Ryan Gosling and Ryan Reynolds after all ladies! A temperature of -63 C (-81.4 F) was recorded in the village of Snag on Feb. 3, 1947. That’s roughly the same temperature as the surface of Mars! ….we could go on and on! Around here at SCT HQs we love to celebrate. We love surprises and we love giveaways. A few weeks ago we ordered a fun prize to end this day and we also said "YES" to a wonderful prize from one of our great partners. Ready? This beautiful 5-coin set from The Royal Canadian Mint includes the five winning designs from the My Canada, My Inspiration contest with the coloured version of the 2017 25¢ and the glow-in-the-dark $2 winning coin designs! This 5-coin set highlights a unique event in Canada in which the public designed and selected its national coinage! It's a unique portrait of Canada that will be cherished by generations to come. Every coin has been carefully hand-selected to ensure you get the best samples of their kind—including the colour versions of the 25-cent and $2 coins! We also have this amazing sold out collection from our friends at Creative Memories! This hour's winner will WIN a Creative Memories limited-edition Celebrate Canada 150th Anniversary Bundle! 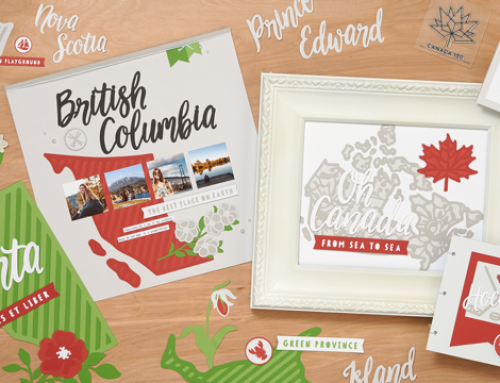 This one-of-a-kind bundle includes a custom Album Cover with a beautiful white foiled Canada design, a Paper Packfeaturing 12 unique designs infused with maple leaves, Inuit-inspired patterns and other Canadian themes, plus the Maple Leaf Punch! OH MY! It's a good one! For the final time today SCT friends…for an opportunity to win this hour's prizes be sure to leave a comment below by July 7th and we will randomly select one lucky winner this hour to win them! After leaving your comment here we hope you'll take a moment to visit us on Facebook and Instagram (@sctmagazine) and leave a comment there as well for THREE chances to win! We'll be compiling all the comments each hour. Don't forget to download this beautiful, exclusive print we commissioned from local designer Nicki Traikos of Life I Design right HERE. And don't forget to preorder our exclusive, limited edition Celebrate Canada stamp and die set HERE! Thank you once again SCT friends! Be sure to leave comments each hour and be sure to share all of our posts with your friends! Let's share the fun! Como argentina, estoy orgullosa de que el gran Michael Buble, se haya casado con nuestra preciosa Luisana, y hayan formado una hermosa familia. El sol volvio a salir para ellos! Love it! So much to celebrate! Thanks you for such a great Canada Day! I have enjoyed all these posts with their great Canadian facts and giveaways! Cheers! Thank you for this awesome tour of Canada! May we have another 150 years in our true north, strong and free. Happy Birthday!! What a wonderful tribute to my country, Canada. It made me feel even more proud! Lots of fun facts from Canada! Thanks for organizing this contest and for the chance to win such great prizes! So proud to be Canadian! Thank you for more reasons to smile about it. ????? Of course I had to add embellishments! What a way to end a fabulous day! I love reading all of the fun facts about Canada and have learned of new places to visit! Thank you for bringing all of this information and inspiration to me! I love this coin set! I have a small coin collection and I would love to add this to it! Thank you for the chance to! WOW – what a fabulous prize! Happy Birthday Canada!!! This has been a most wonderful way to celebrate our great nation. Thank you so much for putting it all together and providing an opportunity to win prizes along the way. I have enjoyed reading all the highlights pointed out and have learned amazing things along the way. Thank you SCT! Thank you for an awesome day of fun facts about our great nation, as Canadians we do have a lot to be proud and most definitely grateful for. This is why I am always proud to call myself Canadian, because of all the great people in our land and great companies like Scrapbook and Cards Today that goes out of their way to make our 150th so special! Thanks for a fun day! Wow! What a way to wrap a fantastic Canada Day! Congrats and thanks for a wonderful day. Have enjoyed each of the posts. We have made many trips through Canada between Michigan and New York. Have always enjoyed the scenery. Happy Birthday Canada. So proud to be Canadian. Lots of love from Saskatchewan ??? Proud and grateful to be Canadian today and every day. Thanks SCT for a fun day and a chance to win some great prizes. Loved your posts! Fabulous prizes! What an informative and fun day. Happy Canada Day to all, and Happy Birthday to Canada! What a wonderful country to live in, so proud to be Canadian. Happy 150th Birthday, Canada! What a fun day to celebrate creativity and being Canadian! 150 th birthday Canada ?? Love the beautiful coins and the creative memories bundle. Happy Canada Day! What great giveaways to celebrate our national birthday! WOW with each and every post that you have had today, you make us prouder and prouder of being a Canadian. Thank you. This has been awesome to see and enjoy everything Canadian and you have reminded us of many of the things that we forget from day to day. Thank you. Happy 150th Canada Day!!! Thank you, SCT!! What a great day and loved all the Canadian facts!! Happy birthday, Canada!!?? Loved all the fun facts and photos. We do have a wonderful country. Happy birthday Canada. Thanks Catherine and team – great day! Happy 150th to my Northern neighbors! My husband would LOVE those coins!! thanks for the chance to win. Thank you SCT for today’s fun celebration. Happy 150th Birthday, Canada! Happy Canada Day from Nova Scotia!!?? Thanks for all the fun today!! What an awesome prize!! Great celebration. Thanks doe all the fun facts. What a fun day filled with information about our beautiful Homeland!! Thanks for sharing so much and the opportunity to win some beautiful prizes!! Happy Canada Day to everyone at SCT!! Thanks for all the great posts today! Brought back many memories for me. Thank you so must for making me even more proud to be a Canadian. What a fun, fact filled day. I’ve loved learning more about Canada…it makes me want to visit again. I love Canada! Thank you for the chance to win some fun prizes too. What a nice piece of collection. Always great giveaways. Thanks !!! That was a super fun day to spend with you SCT! Thanks you! Have fun at the fireworks ? Happy Canada Day! Thanks for making it interesting and fun. Fantastic day SCT! Thanks & Happy Birthday ? ?? Oh, wow…what a great lineup to be won! Happy 150 Canada! Such a terrific prize to celebrate such a momentous occasion! Thank you SCT for the opportunity to win and for organizing such fun and informative posts. Thank you, SCT for a wonderful highlight of Canada today. Hugs and kisses from the west coast. I’ve absolutely enjoyed celebrating with you (as always). Happy 150, Canada! Wow! Some great products to celebrate this beautiful land of ours. Thanks for the chance to win! Happy 150 Canada!! What a fabulous way to Celebrate our fantastic country!! Happy Birthday Canada!! Thanks for the great day of Canadian trivia and prizes, SCT! Happy Canada Day! Thanks for all the giveaway chances. The Creative Memories set is a wonderful tribute to a great country. Enjoy the fireworks ? ?? Totally enjoyed reading all the info on Canada, especially the things that weren’t in my history text books! Great job! Fireworks Celebration for all! Thank you SCT for your wonderful tribute to Canada on it’s 150 Canada Birthday Celebration! It has been such a great day. I have loved reading all the Canadian facts. I am very proud to be Canadian! What a terrific post – so glad to have found you and def going to download your magazine. Would love to win too – fab prize to wish for! Everything today hss just been over-the-top fabulous! I loved reading each post and all the great facts you’ve shared about our fabulous country! Happy Birthday Canada! Wonderful! What a fabulous day of celebrations! Yes, I definitely enjoyed the fun facts and thank you for sharing more of them! I learned a few new things about Canada today! We are so blessed to live in Canada and thank you for making me appreciate it even more today! Yay for Canada 150! What a great day celebrating a beautiful and wonderful country. Thanks for all the info and for the prizes offered. I can’t wait to visit Canada again! Thank you for the great giveaway to end Canada 150 Birthday! Of course SCT is a big part of being Canadian and it is great to celebrate our wonderful country all year long! This has been a really fun and interesting day – there is so much I didn’t know about Canada! Thanks for sharing your wonderful country with us! Thanks for sharing so many interesting and great stories about such a great country, Canada!I would really love to visit one day. Have a happy birthday Canada!!! So much fun today! Such great prizes, love the Creativer Memories ?? Album! Love the stamp set and framelits, purchased it today!!! Thank you SCT for capturing the true essence of our beloved Canada through your photos, words and fun facts. My heart swelled with pride as I read each and every post. God bless Canada! ?? Great prize! Happy Canada Day from Saskatchewan ??! I have learned so much about Canada today. Looking forward to my next trip. Great prize to cap off a fun day. Happy Canada Day!!! Awesome! What a great day! Happy Canada Day! Great prizes! I have enjoyed your hourly posts today! Thanks for helping us all celebrate this great country we call home. thank you so much for the chance to win! what an awesome celebration! ? Happy Canada Day to all. I would like to visit one day. I don’t like to be cold though so think that I will visit when it isn’t winter. Happy Canada Day!!! Thank you for celebrating with us and giving us so many ideas and the fun facts!!! The loonies and toonies look so nice. It has been a great Canada Day….I spent it with my family and then came back here to spend with my scrapping family! I am so proud to be Canadian! Each post has just fortified that feeling! Thank you for the chance to win such amazing prizes for some great sponsors that want to help us celebrate too! Happy Canada 150!!! What a great tribute!! Thank you for reminding us of all the great things about our country. And thanks for the chances to win some very awesome prizes. Happy Canada Day to all!! Loved the fun facts. Happy 150 Canada!! What a wonderful prize to celebrate Canada’s 150th with. Thanks for the opportunity to win!!! Such a fun day of celebrating Canada. My whole family took interest and had great fun learning fun fact. We will certainly be heading there in the near future for a vacation! Thanks again for all the fun and prizes! What a fun day of celebrations!! so need that Canada paper from Creative memories. 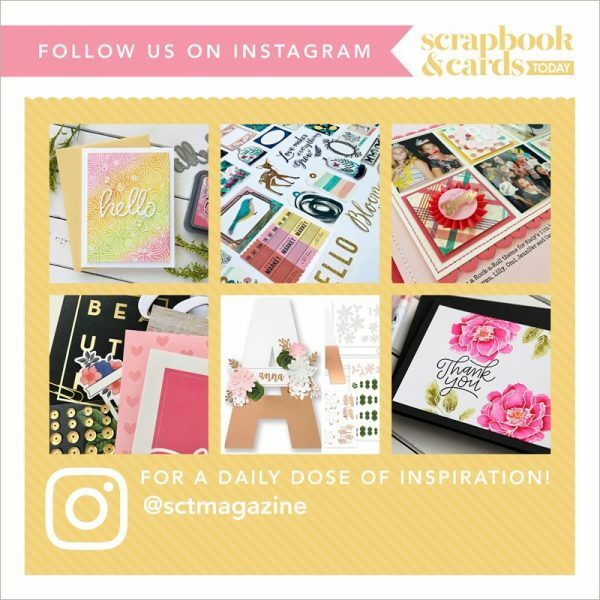 Love your magazine and blog! Yes, the trivia facts and pictures from around the country have been some of my favorites. Great way to learn about my Northern Neighbor. This coin set is soooo beautiful. Canada 150 celebrations were amazing to see coast to coast! Now to scrapbook them! Thanks for the wonderful tribute to our amazing country. I am truly proud to be a Canadian! Each hour was filled with our rich Canadian history! Thank you, thank you for bringing this to us! I am so proud of my Canada and of people like you who make it ‘great’! PS The final giveaways are equally beautiful – thanks for the chance!! The fun facts about Canada are so interesting…great facts for CANADA 150. A wonderful end to a wonderful day! It was great to see so many Canadians out and about celebrating our amazing country today! I enjoyed every moment including your fabulous blog posts!!! Happy Canada 150!!! Thanks for a fun day, SCT! Happy Canada D’eh to you, too! It was great celebrating Canada Day with you! Happy Happy Birthday Canada! What a fun day celebrating with you! Happy Canada Day! We had a great time celebrating it in Toronto. Loce the CDN facts and the amazing prize. So proud to be Canadian ?? this is an awesome way to celebrate a wonderful birthday milestone!! Thank you! Fabulous prizes, awesome designs, already pee-ordered my stamp and dies set. Proud to be Canadian! Thank you so much for the thought and plans that went into SCT’s Canada 150 celebration. Happy Canada Day to everyone at SCT and to all the SCT fans. These were great posts – all of Canada is on my bucket list to explore! I was fun to read all the facts! And thank you for sharing all the goodies! What a beautiful prize to celebrate our beautiful country. We are so lucky to be able to live in such a gorgeous place. Happy Birthday Canada and welcome to all our new Canadian citizens! Thank you for a day filled with great facts, trivia and images of Canada ??. FRom the east to the west and the north to south, Canada ?? certainly is one great country and we have so much to be thankful for. I am proud to be Canadian ?? not just today but everyday!!! THank you SCT to you and all of your wonderful sponsors for all you do, all year through. You are truly a wonderful Canadian company, thank you for sharing your celebrations with all of us. HAppy Birthday Canada!!!! Happy Birthday Canada! I’m proud to be Canadian! What an amazing prize to end an amazing day! Thanks for the chance to win SCT! Happy Canada day!❤️?? My husband would love those coins! Congratulations to Canada on your 150! What an amazing day! Thanks so much SCT you’ve done it again!! !So proud to be Canadian???????? Awesome prize! I’ve been hoping to get one of these quarters in my change, but I haven’t seen any yet. Yes we do live in the best country and we need to alway celebrate it. Thanks to SCT and Happy 150th Canada. The new coins, as well as the new paper money that the Canadian mint has recently put out are lovely. The $10 bill is a work of art! Great prizes for Canada’s birthday. Thanks for educating us all just a bit today!! Thank you Scrapbook and Cards Today magazine for a wonderful Canada celebration! Awesome information about Canada. Thanks for the chance to win great blog candy! Wow, what a great tribute to Canada and those of us who live here! Thanks for the opportunity to enter the contest for a chance to win two fantastic prizes! I love that stamp and die set too…may just have to order those! Thank you SCT for hosting such an amazing Canada day celebration! My Canadian pride swelled as I read each hourly post, learning new things along the way and enjoying being reminded of all the incredible people, places and things our wonderful nation has to offer. Thank you to everyone who worked on compiling the fun facts and interesting tidbits and who had a hand in making today’s celebration so special. You rock SCT and you make all us Canadian crafters so proud! Beautiful way to celebrate this wonderful country!!! I enjoyed every one of the postings today so much. We have so much to be grateful for and to celebrate. Such fun facts! Some I knew, others I did not. One I didn’t know was we have an “Apology Act”! Happy Canada Day!!!! My grandmother was from Canada, she made it back a few times for visits.Beautiful work from Creative memories, and thank you SCT!. greeting cards. It’s been a great day. Thanks SCT for a fun day! I’m a proud Canadian and also very proud that the best scrapbooking magazine is Canadian! And thanks too for all the fantastic prizes! What a wonderful way to celebrate this incredible country!! Happy birthday Canada!!! I’m so proud to live in this beautiful country, I couldn’t imagine living anywhere else. Thank you SCT for sharing these wonderful posts with your Canadian fans and your international fans. I’ve enjoyed every one of them. Happy 150th Canada Day eh! Such an exciting time for everyone in Canada. Hope everyone was able to get out and enjoy some type of activities in their communities and hope many took awesome photos! Ever since Vancouver hosted the Olympics 2010, I try to collect different types of maple leaf memorabilia and add them to my layouts to reflect my Canadian roots. No matter where I have mov d and lived in this country, I’m so proud to be Canadian! Happy Canada Day !!! These hourly posts are a super creative way to honour our fabulous country and learn some fun facts. Thanks and well done SCT! Thanks for the chance to win the coin set and creative memories bundle. Happy Birthday. I enjoyed all the facts. Wow. Those coins are so pretty. Thanks for sharing all these fun posts, and thanks for the chance to win some goodies! So proud to be Canadian…today and everyday! Thank you so much for all the great facts about our great country and thanks for the chance to win these great prizes! Happy Canada Day!!!!! I ordered my canada stamp/die set and sooooo excited to start using them!!!! My son and I had a great Canada Day with a celebration in the park, bbq, family dinner, and fireworks to end the day!!! Sorry I didn’t log in that day but was busy celebrating the day with family. Wonderful prizes as usual. Absolutely lovely. Yah Canada Love all this super Canadiana. You did a super job. We were busy celebrating Canada Day weekend and just came here now. Will have to check out the rest of your Canada 150 posts. I have thoroughly enjoyed the fun facts about Canada. Makes me want to come tour and visit even more so than I did previously. You have much to be proud about! So many wonderful facts about Canada. Thanks for the fun facts and ideas. Happy Canada Day ?? Man, that set would be perfect to document my upcoming trip to PEI! I leave in just over a week to visit the home of LM Montgomery and cannot wait! It has been a dream of mine to visit for 30 years, I cannot wait to see the red sand, Green Gables, Tea Cup Rock, all the lighthouses, and so much more. Thank you for the chance to win. Wonderful celebration of Canada’s birthday. Thanks for sharing all the fun facts. Only Canadians would need an Apology Act they are so polite. We all really are so lucky to be Canadian! Happy 150th Canada!! Love the special coin set celebrating our great country. I bought one of those coin sets. It is beautiful. Nice giveaway from CM, too. That coin set is amazing! It was a Happy Canada Day! Happy Birthday to my beautiful country Canada!!! These posts have been so fun to read!! All I can say is WOW! The grand prizes are incredible. It has been a real treat to celebrate Canada Day with Scrapbook and Cards Today. Thank you. Everything presented is a wonderful reminder of who and what we are. We deserve to stand proudly. Thank you for the fun facts! I am proud to be Canadian! Happy 150th Canada! You guys have the best prizes! Happy Canada Day! Love all the posts!! Fantastic Job!! Such awesome prizes! Thank you! These posts have been so interesting! Thank you! What a great tribute to a wonderful country!!!! SCT always does it up right!!!!! I am a proud Canadian! This place is, and will, always be my home! I love CM and the moose stamp is pretty darn cute! Happy Canada Day! I enjoyed reading all these tidbits about this beautiful country!